Shipping containers are used in vastly different ways across a wide variety of industries. As the South Island’s leading distributor of refrigerated and insulated storage containers, we have seen first-hand how these versatile units can transform a business. One of the most interesting applications of shipping containers is in their role in the preservation and production of fresh produce. There seems to be a recent upsurge in interest around the use of controlled atmosphere (CA) containers to extend the lifespan of fruit and vegetables after they have been harvested. The ability to preserve fresh produce for longer means that producers can use more economic methods of transporting their goods or ensure that a bumper crop doesn’t go to waste. Applying similar principles, some farmers have taken things a step further by growing food inside of shipping containers! Ethylene control is an important aspect of extending the lifespan of fruits and vegetables. Ethylene is a plant hormone that controls certain aspects of a plant’s lifecycle. Commercially, ethylene is used to ripen certain fruits and vegetables quickly so they can be sold as ripe products. Bananas and figs, for example, are commonly ripened with ethylene once they have arrived at their final destination. Plants naturally release ethylene after they have been picked, which is why many kinds of fruits continue to ripen at home in your fruit bowl. This can be a problem when produce is being shipped long distances, causing the product to arrive in an over-ripened state. To prevent this, ethylene control technologies can be used to manage the amount of ethylene present. These systems work best when they are used in a controlled atmosphere container, like a shipping container, where the levels of gas can be carefully monitored and altered as needed. Before the use of ethylene control systems, the best way to transport produce over longer distances was in refrigerated shipping containers. While cold temperatures are effective at extending the lifespan of produce, they use a lot of energy and therefore are not environmentally friendly or cost efficient. Ethylene control technologies are beneficial for several reasons. By lengthening the lifespan of fruits and vegetables, there is less overall wastage. A longer lifespan also allows growers to distribute produce by ship rather than air cargo, which costs significantly more. Freight Farms is pioneering a novel approach to indoor farming by creating mini-farms inside of shipping containers to grow specialty produce year-round. 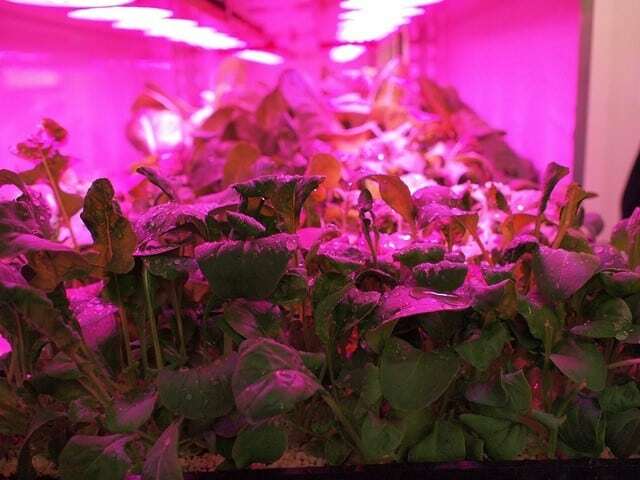 The founders of this innovative company discovered that they could precisely control indoor environments in shipping containers, which has remarkable applications for agriculture. Using LED lights and hydroponic farming techniques, Freight Farms is able to produce 48,568 heads of mini-lettuce inside a shipping container in one year! Able to nutrient distribution, temperature and light, farmers are no longer dependent upon weather, soil quality, or large areas of land to produce food. The applications of farming inside a portable container are endless. Farmers can now grow food when and where it is needed, eliminating the need to ship it to a final destination. Food could be grown in climates that are otherwise unsuitable for food production. Shipping container farms also provide a viable option for framers wishing to grow crops in urban areas, where larger amounts of land are unobtainable. If you have a unique vision for growing food in an unconventional location, please get in touch with us. We offer complete customisation of portable shipping containers and can work with you to achieve your goal. We can meet nearly any specification – from controlled atmospheres to in-built shelving and speciality doors – to build a shipping container that meets your needs.